The Trident marque is the latest Italian automaker to offer all-wheel drive, as demonstrated on this QP romping dramatically in the snow. Before Lamborghini debuted the Diablo VT back in 1993, the idea of an all-wheel-drive Italian exotic was practically unheard of. But just about every car that Lambo has done since has sent its power to all four corners. Ferrari has gone all-wheel-drive as well with the FF. And now Maserati is doing the same on the new Quattroporte. Although it reportedly won’t be offered on the V8 model, the 3.0-liter twin-turbo V6 version will be available with the Maserati’s new Q4 system, sending its 404 horses to all four corners. 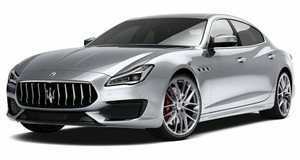 To show off the new Quattroporte S Q4, Maserati has released this brief two-minute promo clip. The availability of the system ought to help convince some would-be buyers of the Audi A8, Bentley Flying Spur and Mercedes S-Class 4Matic to consider switching to something with more Latin flavor.